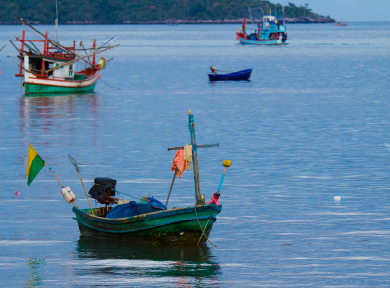 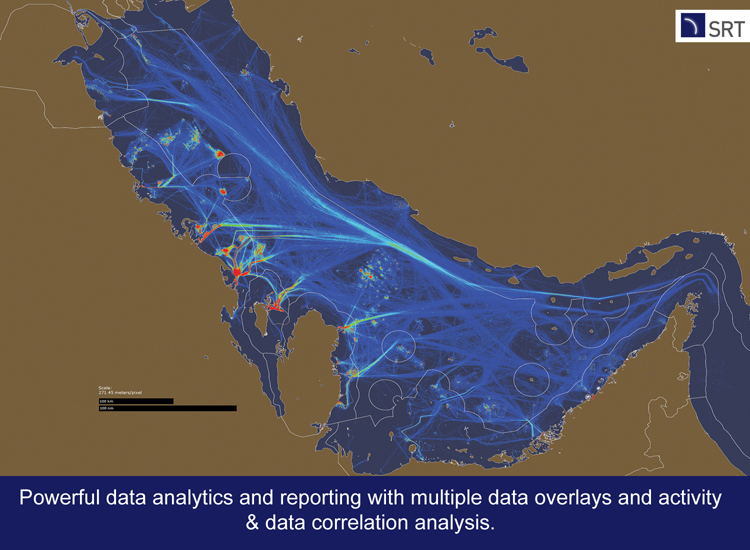 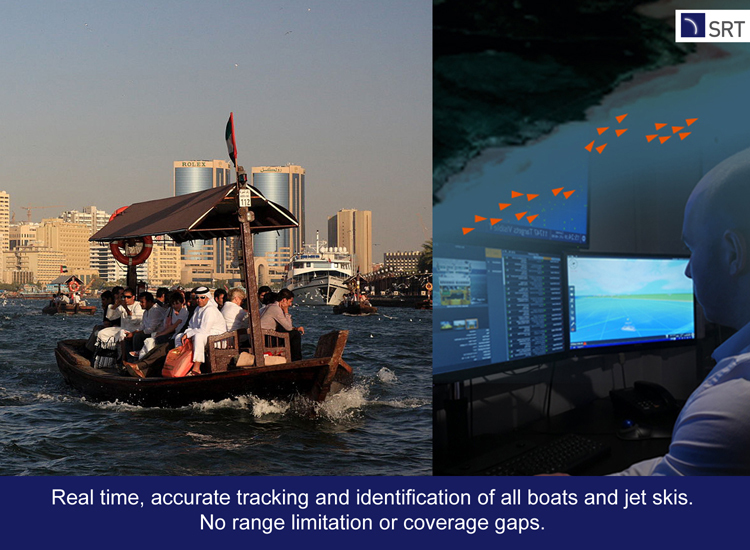 Very large numbers of boats of all types and sizes, including large ships to small RIB’s and Jet Skis can be reliably tracked, identified and monitored simultaneously in real time across all your waterways, territorial waters, EEZ and if so required, globally – no range limitations or coverage gaps. 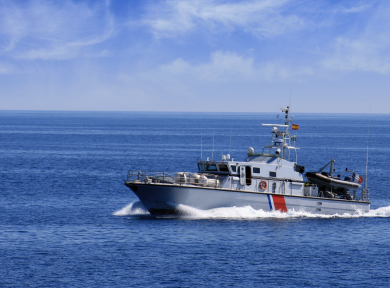 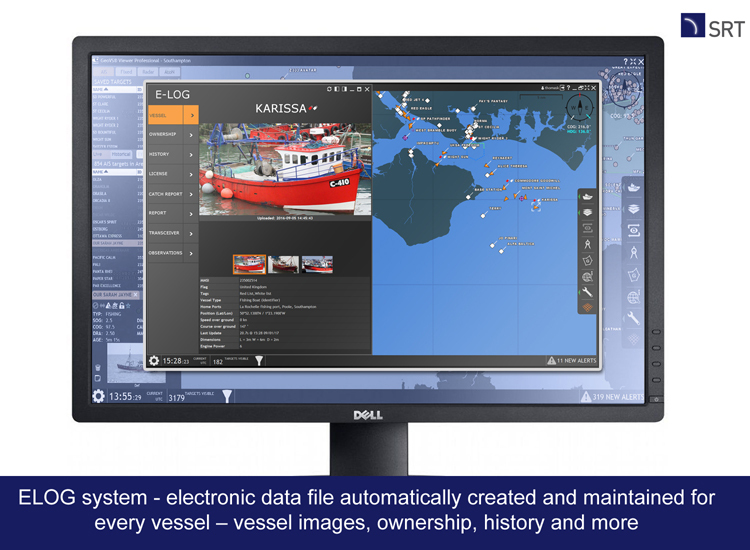 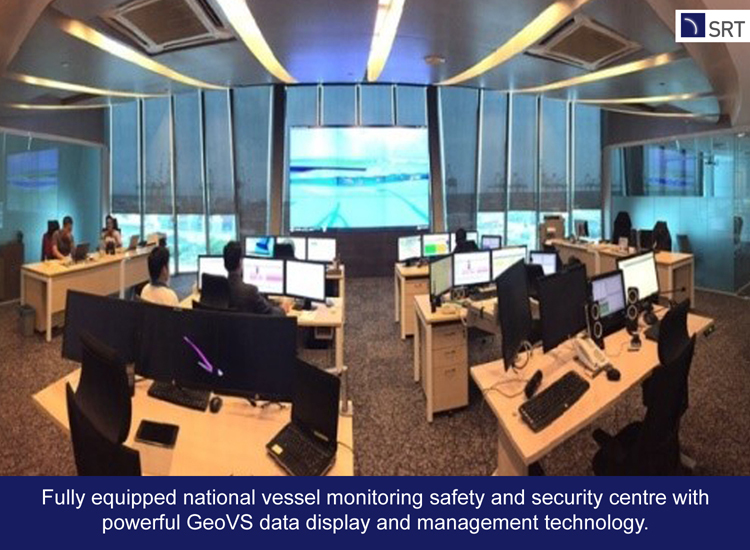 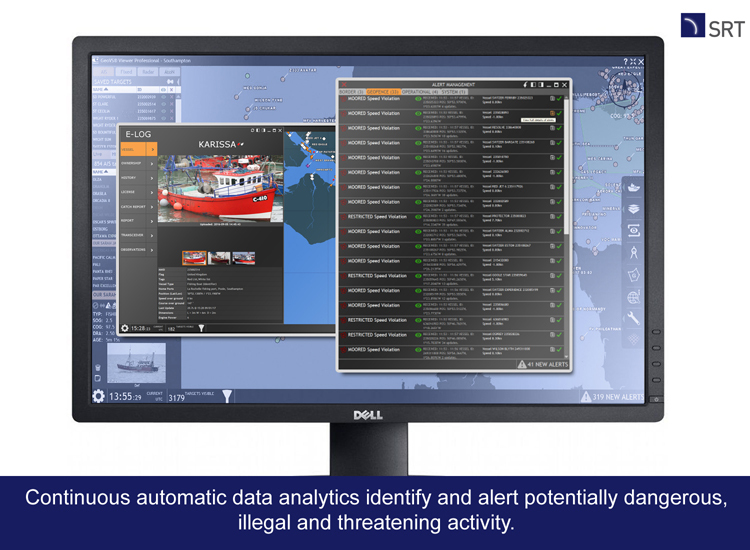 Powerful data display and analytic systems enable automatic real time activity analysis of every vessel against pre-defined parameters enabling instant identification of illegal or dangerous activities, along with a range of management tools such as the vessel ELOG and VMS-Connect functionality that help system operators manage situations and incidents effectively. 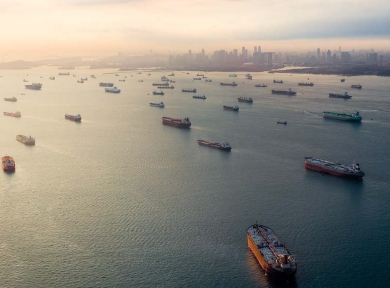 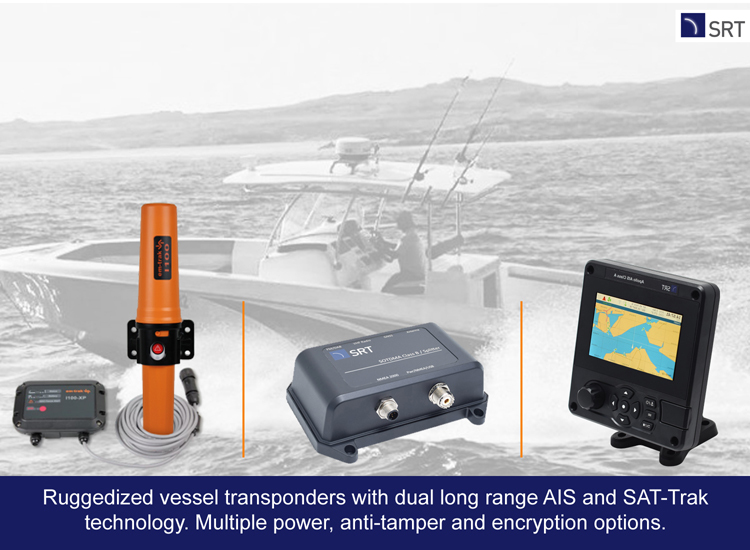 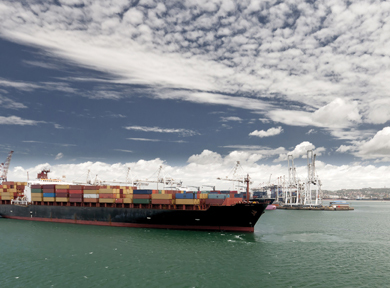 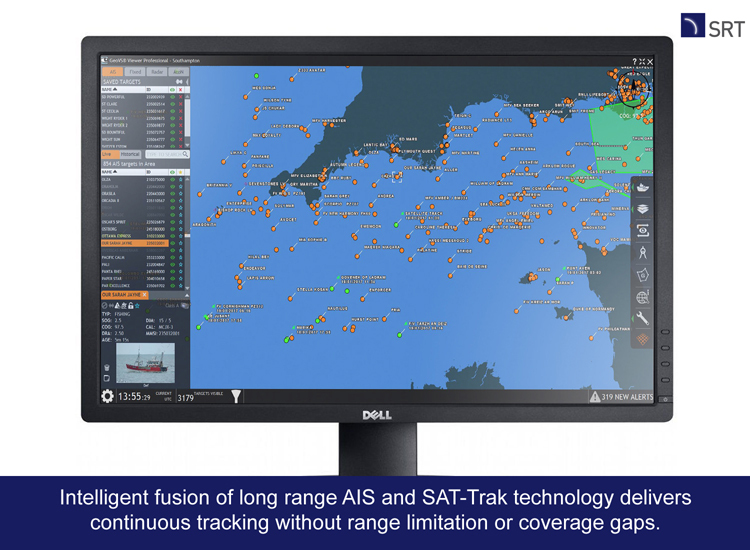 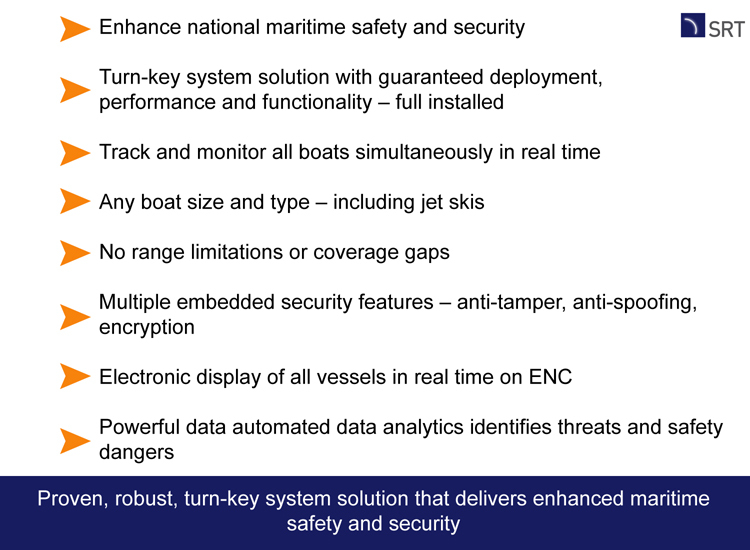 The SRT NAIS system is uniquely proven to be a reliable real time national vessel tracking and management system that can be quickly delivered, installed and commissioned.